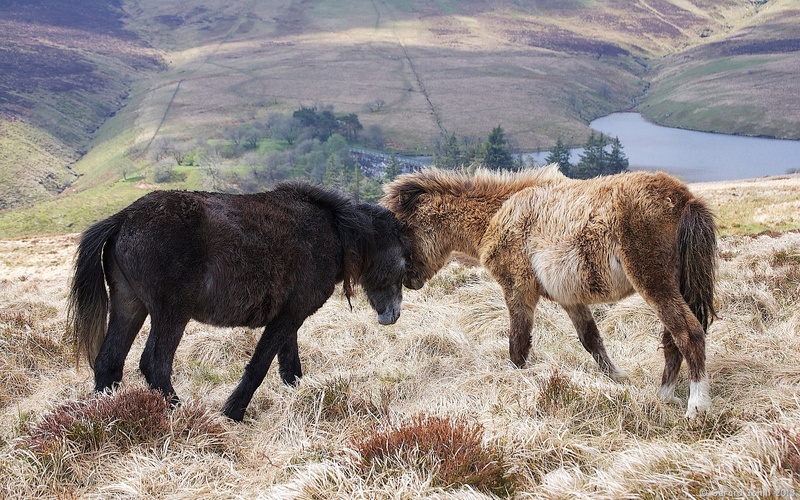 While the horses in the previous post were content to be in the fields, lower down in the valleys, the wild ponies roam free over the upper slopes of the Black Mountains. Badly in need of a haircut, these two were muzzling each other as I walked past. In the background is the Grwyne Fawr reservoir. Don’t ask me how to pronounce it.